Light, compact, and reasonably priced this lens covers most situations on the wide end that an owner of a full-frame DSLR might encounter. It's a perfect match for a D600 and even has enough resolving power for a 36MP D800 if you stop a little down. Overall it is a worthy compact wide-angle-zoom for those who start into FX-land or want to keep their options open for a future upgrade to an FX-body. Good points: Good image quality in the DX image-circle; weather sealing at the lens-mount; quiet AF operation; small package; reasonably priced. 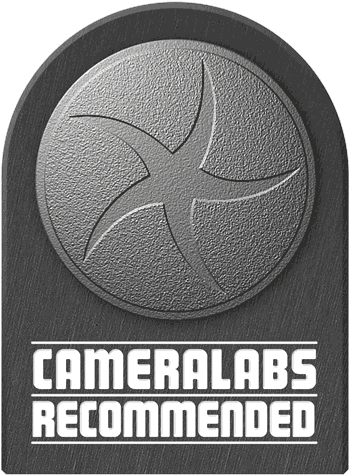 Bad points: Needs stopping down to f8 to produce good FX-corners; barrel-distortions at 18mm hard to correct; slow AF. Check prices on the Nikon 18-35mm f3.5-4.5 G at Amazon, B&H, or Adorama, or Wex. Alternatively get yourself a copy of my In Camera book or treat me to a coffee! Thanks! The AF-S Nikkor 18-35mm f/3.5-4.5G ED is an ‘affordable’ wide angle zoom lens that’s compatible with Nikon’s full-frame FX format DSLRs. 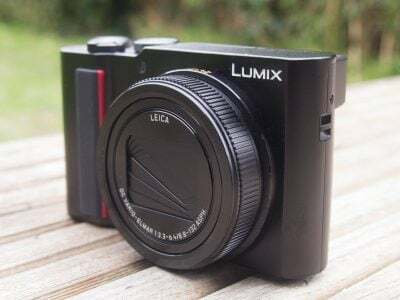 Announced in January 2013, it’s aimed at photographers who’ve bought lower-priced full-frame DSLRs like the D600, but equally works on cropped-frame DX format models, where it becomes equivalent to 27-53mm. Officially it’s the successor to the older AF 18-35mm 3.5-4.5D ED, although that model remains on sale. The new AF-S 18-35mm sports a completely updated optical formula with better looking MTF-values and naturally has been updated to feature SWM focusing that doesn’t require an AF motor built-into the DSLR body. This makes it an AF-S lens. In my Nikon AF-S 18-35/3.4-4.5 review I’ll put this zoom to the test on a 36MP Nikon D800 body to see whether it’s a good match for the highest resolution full-frame DSLR. I’ll also compare its optical performance to Nikon’s more up-market wide-angle full-frame zoom the Nikon AF-S 16-35/4.0G VR and the professional Nikon AF-S 14-24/2.8G to tell you whether and how far the new lens is away from its more expensive brothers. As usual I’ll have a look at the technical data first. I’ve rated the features with a [+] (or [++]), when it’s better than average or even state of the art, a  if it’s standard or just average, and [-] if there’s a disadvantage. I’ll compare it with Tokina’s AT-X 17-35mm 4.0 FX (“Tokina” for short) which at least on paper is the closest comparable lens. The score in the “features-department” is 0[-]/6/7[+]. So this lens ticks almost all important boxes, and sports some advantages over the Tokina which can only claim to go 1mm shorter: The Nikon is lighter, has less glass/air-surfaces which can cause flare/glare, uses a standard 77mm filter and has the easier way to switch between AF and MF. Compared to it’s older brothers the new Nikon is clearly smaller, lighter and much cheaper, as the AF-S 16-35/4.0G VR is around 1000 EUR and the AF-S 17-35/2.8D as well as the AF-S 14-24/2.8G are beyond the 1500 EUR mark. – I’ve already mentioned the Tokina AT-X 17-35mm f4.0 FX. It has a constant aperture and a 1mm shorter focal length on the wide end and costs about the same price. Its constant aperture should not be overrated in this case. It means just that on the long end it is 1/3 of a stop brighter and on the short end it is 1/3 if a stop darker than the Nikon. – Tokina also offers the AT-X Pro 16-28mm f2.8 FX which is a little more expensive but offers a constant f2.8 aperture. Its focal range is 2mm shorter on the short end but only reaches 28mm on the long end which is 20% shorter than the Nikon. So you need to crop 20% to get the same framing as with the 35mm of the Nikon which in turn means giving up 36% of pixels from your sensor. So instead of working with the 24MP of a D600 you’re left with 15.4MP. – Sigma offers the 12-24mm F4,5-5,6 DG HSM II. It is 2/3 of a stop darker and covers a much shorter range of focal lengths. Indeed it is the shortest zoom covering a full-frame sensor starting at 12mm which is 33% shorter than the Nikon. It is only a little more expensive than the Nikon so if you’re into extreme wide-angle photography you might have a look at this lens. Keep in mind though that 24mm is 33% shorter than 35mm and you would give up 56% of your sensor’s pixels to get to the same framing as with 35mm focal length. 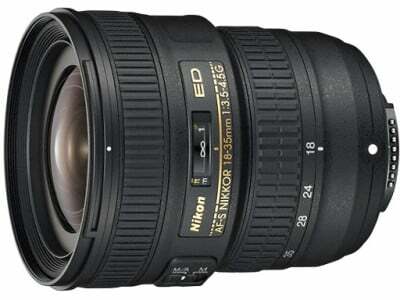 – Nikon has four other lenses in this range: the previous AF 18-35mm f3.5-4.5D ED from the year 2000 which is still available at around 20% less than the new version. There’s also the AF-S 16-35mm f4.0G ED VR from 2010 which is the only stabilized lens in this range, and finally two professional grade constant f2.8 aperture lenses: the AF-S 17-35mm f2.8D ED which is an older design from 1999 and the AF-S 14-24mm f2.8G ED from 2007. The latterpair are naturally the most expensive of the alternatives costing around 1400 EUR and 1550 EUR respectively. This makes a total of eight lenses in this range, so you have to decide carefully what you want/need and what your wallet is capable of. First I’d decide which focal range you need: 18-35mm or even 16-35mm does not sound interesting to someone with a DX-body who is used to shooting with a standard zoom starting at 16mm or 18mm. But remember: these lenses cover full-frame sensors and have a field of view that is equivalent to a focal length of 11mm or 12mm on a DX-body respectively. So if you own or are planning to buy a full-frame body then 16mm or even 18mm is already pretty wide. And 35mm on the long end would still be considered a mild wide-angle. Only if you’re really into extreme wide-angle would I suggest to look for zooms that start at 12mm or 14mm focal length. Focus accuracy and repeatability is critical to consistently produce sharp shots. Repeatability (the accuracy of focus on the same subject after repeated focus-acquisition) of this lens is pretty good with no real outliers over a series of 40 shots. But I found 3 shots with very mild mis-focus visible only at 100% magnification and three shots with mis-focus that could be detected at 50% magnification. There is no performance variation whether the lens focuses coming from infinity or from minimum focus distance. 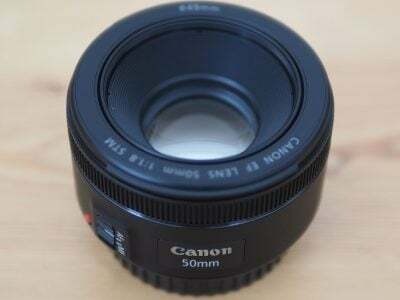 The lens focuses a bit slow: around 0.7 sec from infinity to 0.35m. It also shows a little focus breathing: If you focus closer, the viewing angle becomes a bit larger, the magnification smaller. The focus ring has a very comfortable throw of around 110 degrees. But that doesn’t help much in manual focusing as it also has some slack/play between its movement and the focus-action which makes accurate manual focus wide open a bit tricky. The focus ring is pretty small and movement feels very plasticky. The more important zoom-ring is a little wider and feels quite stiff but moves smoothly. AF-operation is virtually silent from the outside. 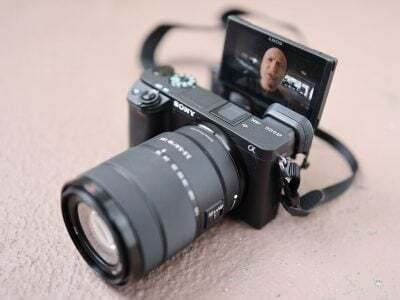 If you record video with the built-in microphone the AF-drive can be heard during focusing but there’s no “clack” at the beginning or end of a focus-movement which makes it less annoying than with other lenses. Shaking the lens produces little noise and the lens shade is a tight fit that doesn’t rattle. In general the impression of build quality is that of a quality amateur lens: a light-weight plastic construction combined with a weather sealed metal lens-mount, and seven rounded aperture blades. Now it’s time to check out the results in my Nikon 18-35mm quality and Nikon18-35mmsample images pages, or if you’d like to skip to chase, head straight for my verdict!